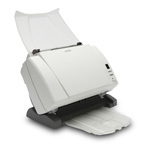 Flatbed Scanners or Sheetfed Scanners? Flatbed scanners usually comprise of a glass pane and an optical array which tracks the surface of the document to be scanned. The horizontal positioning of flatbed scanners makes them ideal for scanning single documents at high resolutions, usually photographs and high quality graphical images. 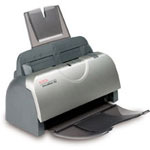 Flatbed scanners are popular for the home user who wishes to scan individual records such as family photographs. 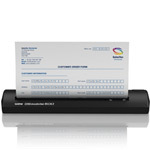 Sheetfed Scanners contain a feeder element very similar in style to that of many inkjet printers whereby multiple page documents can by fed into the scanner in a single passing and usually compiled into a single finalised document. 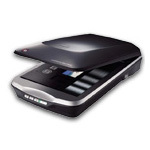 Scanning speeds of sheetfed scanners are comparibly much quicker than flatbed scanners to enable large text documents to be reproduced at a higher efficient rate. 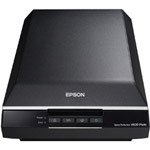 To enable a faster scan rate, sheetfed scanners have slightly lower resolution capabilites to flatbed scanners and therefore makes them much more suited to the office environment where demand for fast reproduction of print is sought over the need for high resolution reproductions of single images.